Stars from across entertainment and sports showed up to support the kids performing at the Garden Of Dreams’ annual Talent Show. 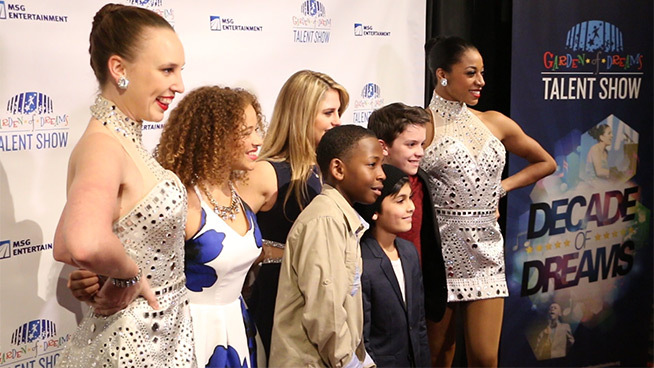 The show offers kids throughout the tri-state area who overcome obstacles the opportunity to perform on the Great Stage at Radio CIty Music Hall. Lending their support and speaking with us on the show’s red carpet included celebrity mentors Damaris Lewis and Nastia Liukin along with Broadway star Jay Armstrong Johnson, Impractical Jokers Joe Gatto and Murr, and HBO host John Oliver.